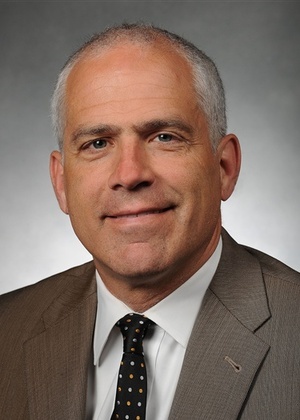 John Gallo, CEO and Executive Director of LAF (Legal Assistance Foundation), will speak on the topic, Fighting for People Who Are Impoverished or Otherwise Vulnerable. LAF is the largest provider of free, high-quality civil legal services in the Midwest. This talk will center around LAF’s fight for people living in poverty through litigation and advocacy, the necessity for civil legal aid, and the future and focus of LAF. Mr. Gallo will give examples of LAF’s clients, its successes and ways that you can get involved. Prior to joining LAF in October 2017, Mr. Gallo was a partner at Sidley Austin LLP for 21 years. He was firm-wide Co-Chair of Sidley’s White Collar Practice from 2010 to 2017, and Head of Litigation in Sidley’s Chicago Office from 2014 to 2017. From 2000 to 2017, he served as Trial Counsel to the Illinois Judicial Inquiry Board, the body responsible for investigating allegations of misconduct by Illinois judicial officers. Mr. Gallo has been an Adjunct Professor at Notre Dame Law School since 2002. He and his wife Jeanne have been married for 33 years and are long-time residents of Oak Park. They have four adult children and one grandson. Our guest pianist will be returning Ron Hill.